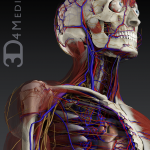 Essential Anatomy by 3D4Medical is another strong step forward for the company and anatomy apps in general. The 3d anatomy engine and impressive graphics bring a new clarity to anatomy education. The addition of further anatomical structures will continue to enhance the utility of this impressive app.